Instead of walking the mail this week, which affords me the pleasure of listening to many an MP3, I’ve been delivering the mail from the ease of a postal truck, which of course means that I haven’t been gorging my ears with podcasts (Postal policy doesn’t allow us to drive while talking on a cell phone or listening to an MP3 player). So it’s been a time of fighting my portable radio, as it doesn’t want to pick up any decent stations. Therefore, I’ve been stuck mostly with my thoughts, seeing how I usually grow weary of the incessant static and angrily turn off the radio. And when I’m stuck with my thoughts, strange things often bubble forth. So here you go: A week’s worth of mental meanderings, which, I might add, could probably be placed under the category paradoxes- paradoxes both serious and stupid. So I was thinking: What if you want to mail a large envelope, and when you place it on one of those handy-dandy postal scales, it reads: $1.32. But what if it’s so close to $1.33 that when you toss on a few stamps, it adds just enough weight to push it over the edge, and so now it will be sent postage due: .01 cent? Sweet mother! 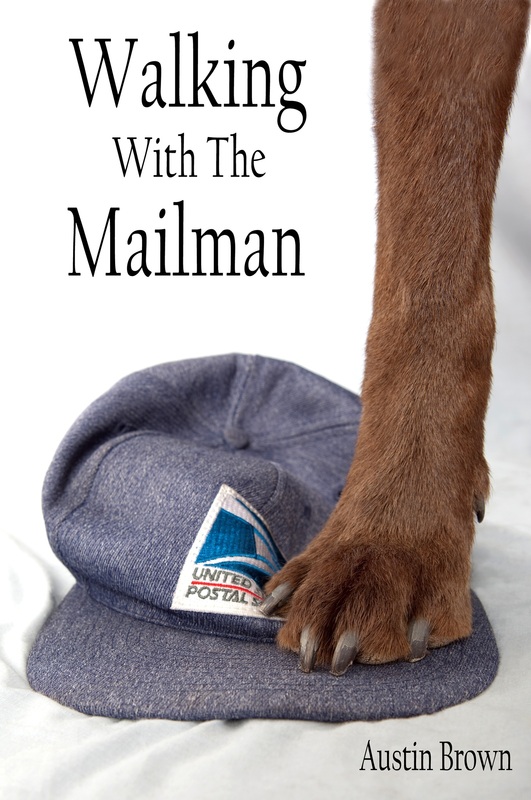 A postal paradox! When I posed this conundrum to a fellow carrier, he thought for a moment and then said, “I guess I’d just tear off a corner of the envelope.” Ah, paradox solved! So I was thinking: Imagine two young, sophomoric Jedi pupils at Yoda’s school of Jedi Knight training. What if one of them said to his training partner, while waving two fingers in the air, “I want you to Jedi mind trick me to Jedi mind trick you so that I keep Jedi mind tricking you to keep Jedi mind tricking me in this way”? So I was thinking: What if people started coming to grips with the hopelessness and meaninglessness of life in a naturalistic and materialistic universe; and as a result, they started committing suicide at an alarming rate, thereby endangering the human species; and so evolution, which is all about adapting to problems, evolved rationality out of mankind so that humans wouldn’t be able to logically think through the implications of evolution, thereby lowering the suicide rate? Wait a minute… has this already been going on?!? Hmmmm. Speaking of Neo-Darwinian evolution… I can’t say I’m a fan. Now in all honesty, I flunked my first year of biology (The Drizzt Do’Urden fantasy novels slid nicely behind a propped open biology book), so I’m not exactly the go to guy when it comes to the subject. Nevertheless, I’ve listened to my fair share of committed evolutionists since the days of High School. Some of what they’ve said has made me rub my chin, but on the whole, I’ve found the position, so far as macro-evolution is concerned, to be weak. A lot of conjecture and tendentious argumentation. (2) The web had to be such that the spider wouldn’t become entangled in his own net, while also being such that other insects would. (3) The spider had to pass home ec class, specifically the sowing semester. (4) The spider had to know not only how to weave a web, but how to properly connect it to trees or limbs, which is no small feat for a creature who can’t reason. (5) The spider had to learn to persevere (for storms and animals would knock down the web, after all). So anyway, I’ve always wondered how a Neo-Darwinian would explain the rise of the spider. But this last week, I’ve been thinking more seriously (no doubt on a layman level, but nevertheless seriously) about the rise of emotions, given a Neo-Darwinian worldview. I just can’t make sense of it. But seeing how this post is getting a bit too long, I think I’ll share my thoughts in part II, which will hopefully be coming soon. LOL! Too funny, Dave. But you know what? I do need that 🙂 Paradox solved!